Who has all things holiday on the brain this morning? 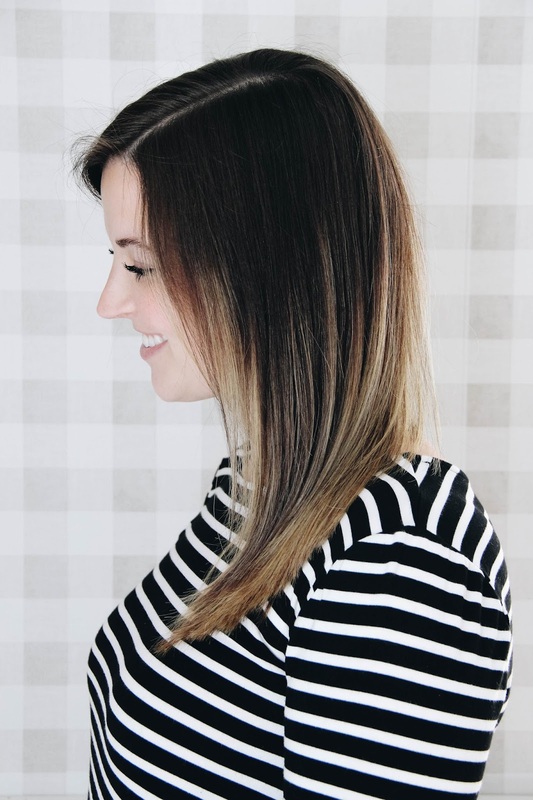 I sure do, and in preparation for one of the jolliest and most festive times of the year, I wanted to share my go-to for holiday hair. I love a curly/wavy look that feels flawless. But, it's a bit of a challenge to achieve that look when my hair naturally lays straight and flat. It holds no curl, has no texture, and needs product if I'm expecting it to look fabulous. Over the years I've tested my fair share of product, only to feel disappointed in the final result. 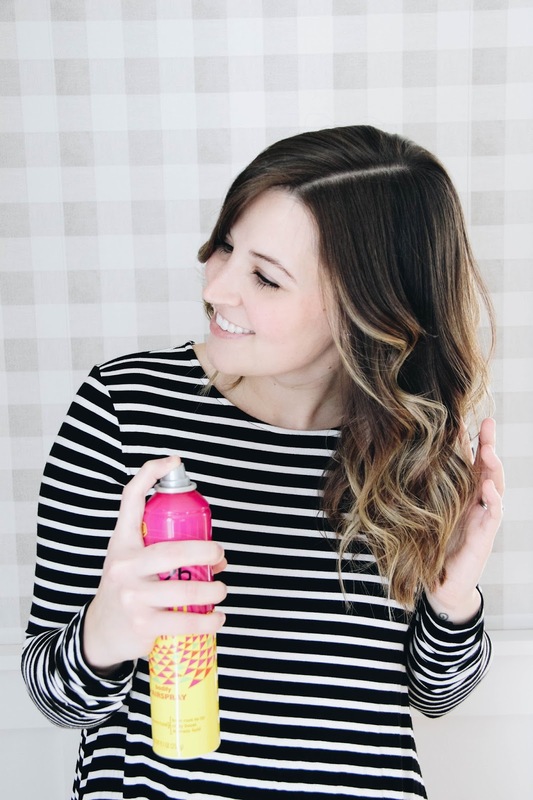 Whether it just doesn't work or makes my hair feel like a sticky, stuck-in-place mess, no product has given me the look I'm after. Then I found Got2b® Volumaniac Hair Spray and Got2b® Volumaniac Mousse. And y'all, this hairspray + mousse combination is magic. This is a great photo of my hair before. Straight as a stick. To give it some texture, I use a small dollop of the Got2b® Volumaniac Mousse on the lower half of my hair while it's still damp. Then I blow dry my hair and run a brush through it. I've now got some texture to work with, which is going to make all the difference for successfully holding curl. Now for the curl! To start, I divide my hair in half, pinning up the upper half to keep it out of my way. I've found the secret to realistic looking curls is to use the curling wand in two different directions, every other curl. With the pieces around my face, I curl away from. The next piece of hair, I curl forward, toward my face. I repeat this forward and away from pattern until I make it halfway around my head. Then I start over on the other side, with the hair closest to my face. 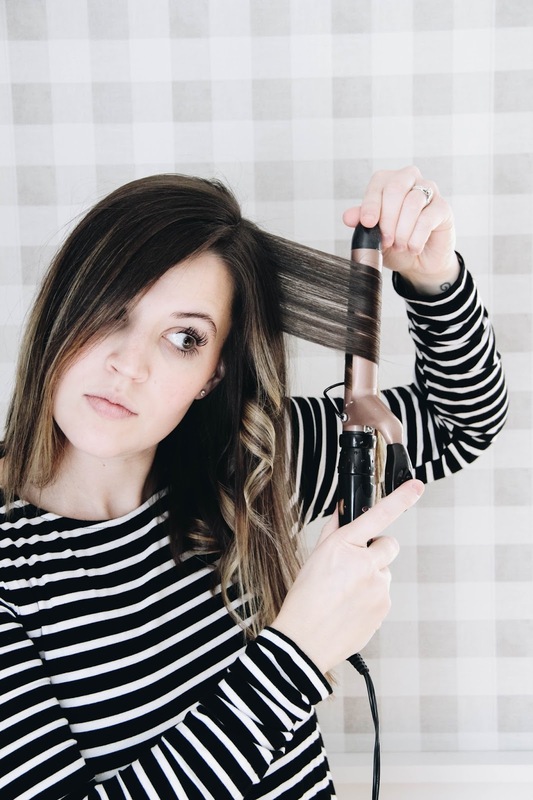 Another great trick to curling your hair is to start the curling wand halfway up the strand you are working with. 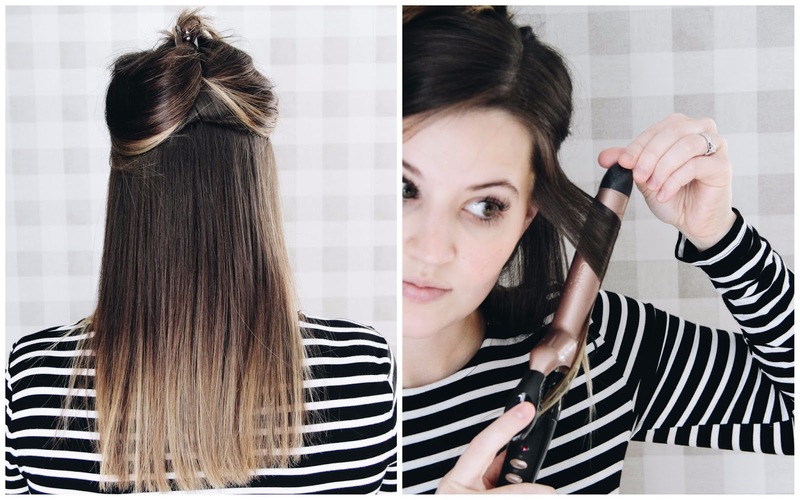 Then pulling the wand down your hair some, grabbing more hair, and then wrapping the new hair up against the iron. 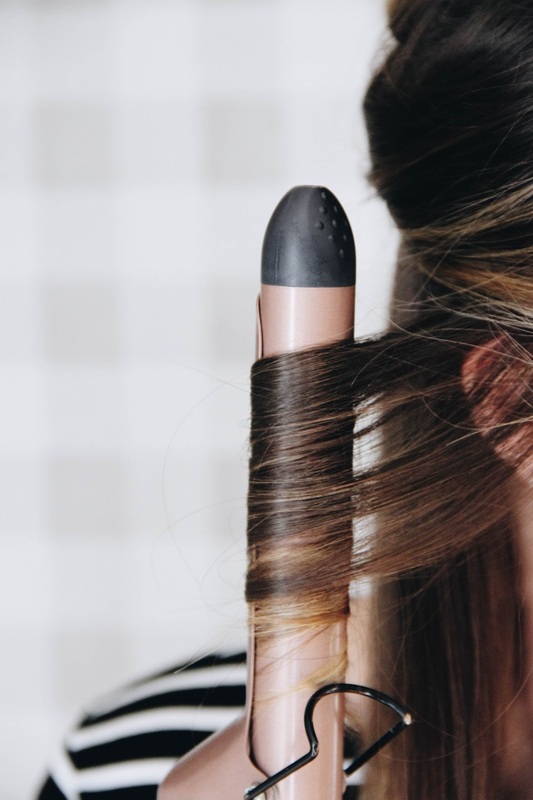 Essentially, you're working your way down the strand of hair until you've curled the whole piece. Once I get all of my hair curled, I double-check to make sure I didn't miss anything. Or maybe there is a strand of hair that didn't curl right, so I go back and curl it again. 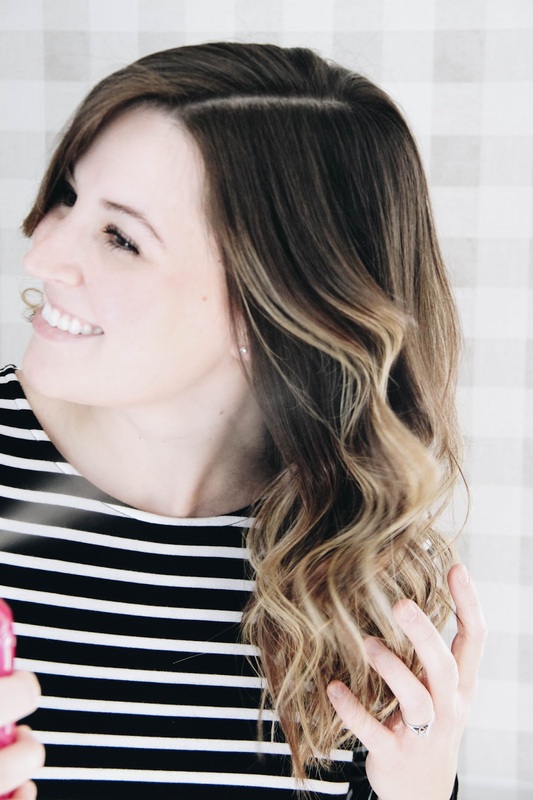 I give my hair a little bit of time to cool down from the heat of the iron, then ever so gently rake my fingers through my hair to break the tight curl up into a little bit more of a wave. The less raking through you do, the tighter the curl. The more raking through you do, the wavier and less tightly curled. I like somewhere in the middle. This last step is crucial for maintaining my curled holiday look. 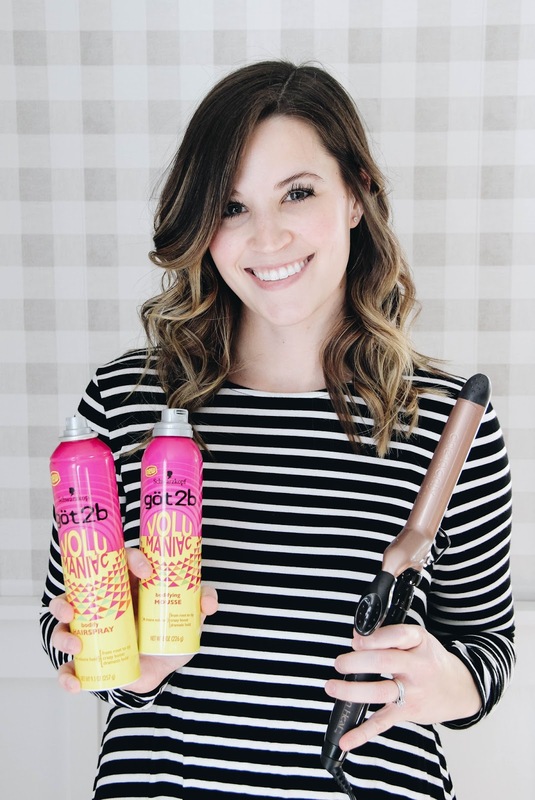 I use Got2b® Volumaniac Hairspray to hold those curls in place. Holding the spray bottle about a foot away from my locks, I spray while moving the bottle around, so I don't get a clumpy look. I make sure to get the hairspray all over the bottom ends of my hair, avoiding near my scalp. I think this creates more of a natural look if you're upper section of hair is a little loose, while the bottom holds its curl. I wore this look for 10 hours, through picking up my house, hosting a simple dinner, and a family walk through the neighborhood. It held unbelievably well. And it's safe to say I now have my two staple hair products for creating perfectly holiday (or any day!) curl. Did I mention you can't beat the price?? Earn $1 with Ibotta on all of your favorite Got2b® items! 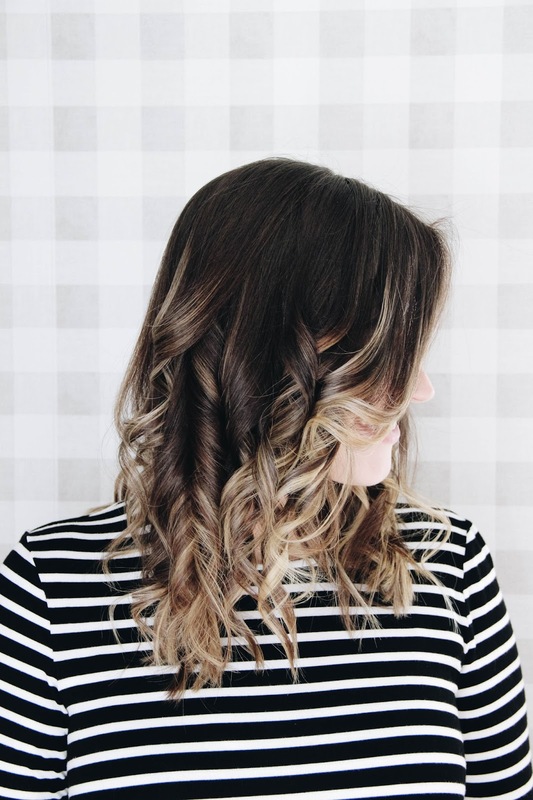 To get this curly look for your every day or a little holiday soiree, grab Got2b® Volumaniac Hairspray and Mousse from Walmart. 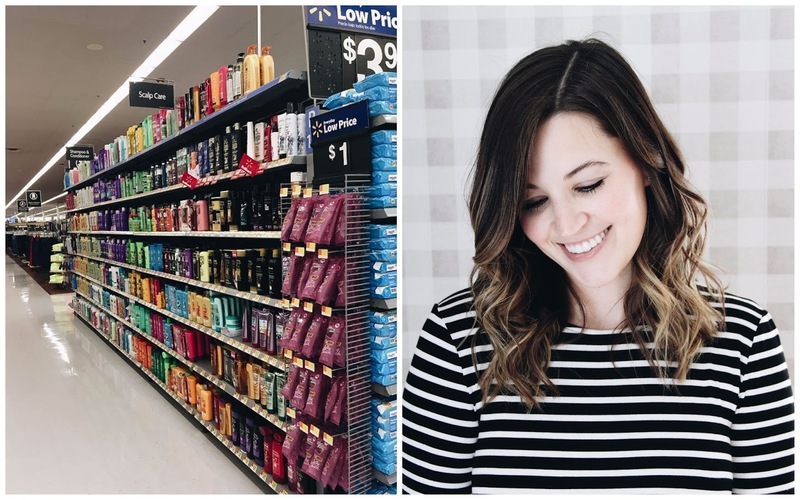 And get inspired with hair ideas from their Instagram!